Imagine you are moving at 10 km per hour and your friend is moving at 11 km per hour.After 6 minutes they are only 100 m (1/10th of 1km) apart which is not very significant. You can literally see each other.After an hour you are 1 km apart. You can no longer see each other but still you aren’t all that far from each other. If you wish you can meet each other easily.But after 10 hours you are 10 km apart and after 100 hours you are 100 km apart.Now you are in two different cities. It’s too far to meet each other. 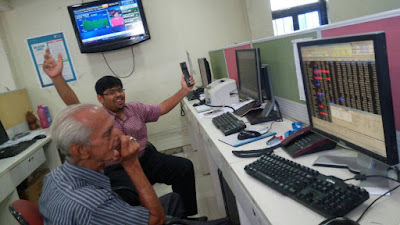 Perhaps you have to speak over phone.Likewise investing in a fixed deposit of 6% per annum or investing in a mutual fund of 10-15% per annum does not make a huge difference when invested for a period of 1 year or even for that matter for a period of 2 years.However, if you were to invest for a period of 10 years to 15 years, the 4-9% difference but nearly 100-200%. Hope this explains why even a 4-9% difference in returns cannot be ignored in the long term and moreover why Equity mutual fund is a more appropriate asset to invest in rather than a Fixed Deposit.